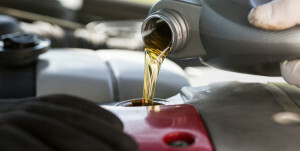 Getting regularly scheduled oil changes is part of proper vehicle maintenance for your Toyota. Fortunately, the Service Center at Doral Toyota is here to serve our local customers in Doral, Kendall and West Chester. Our experienced technicians service Toyota vehicles every day, so you know that they have the expertise to get the job done. Don’t put off your oil change any longer. Let our capable technicians get the job done so you can go about your day. In addition to committing to regular oil changes, it’s also important to ensure that you use the correct type of oil for your Toyota. Our service department offers an array of oil change options that allow you to customize your vehicle’s oil change. Even if you aren’t sure what the best choice is for your Toyota, our technicians are ready to help. We offer both synthetic blend and full synthetic oil change services, and as a special service to you, our technicians will perform a free courtesy check and multi-point inspection to ensure the safety and reliability of your Toyota vehicle. The type of oil you use for your Toyota vehicle depends on many factors, including the weather and climate. For drivers living in Kendall, Doral and Westchester, our service technicians at Doral Toyota are familiar with the Florida climate, so they’re prepared to help you determine the best type of oil and the best schedule for your oil changes. Oil changes are also dependent on your driving style, so our technicians can go over the differences between normal and severe driving. You may need to change your oil more or less often due to your driving habits, so understanding the differences is important for your Toyota’s maintenance. 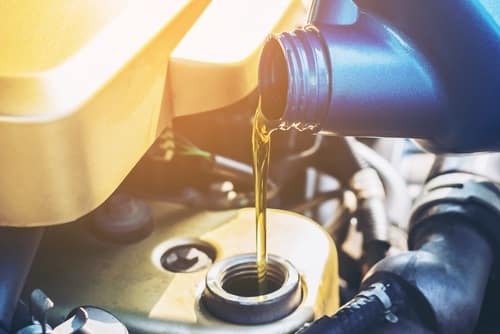 Many people choose to perform their own oil changes, but when you have a professional oil change, like those performed by the technicians at Doral Toyota, you get more than an oil change. We know what it takes to keep your Toyota running like new, so our trained technicians will check your fluid levels, perform a visual inspection of the basic safety equipment on your vehicle, and look for any areas of concern within your vehicle. Our service center employs ASE-certified technicians to assist our customers in Doral, Kendall and Westchester, so you can be sure that your Toyota is in good hands. When it comes time for your regularly scheduled oil change, call or visit the Service Center at Doral Toyota. Here, you can speak with a technician, browse our service specials, and schedule an appointment to service your Toyota vehicles. Short on time? Check out our current special, the 29 minutes or less oil change, which guarantees your Toyota vehicle’s lightning fast oil change that will have you back on the road in no time! Contact the Service Center at Doral Toyota today!